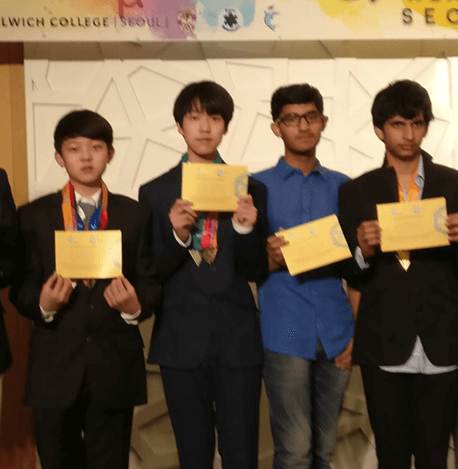 ABWA students out shine in International Mathematics League! The outstanding performance by the students of Aditya Birla World Academy students in NEAMC (North East Asian Mathematics Competition) once again proved their brilliance and love for the subject which we nurture in our portals. Dulwich College Seoul and Seoul International School hosted it from March 1-3, 2018 in Seoul, a beautiful modern city surrounded by mountains and steeped in tradition. In this competition the students had to engage, discuss, collaborate and challenge themselves through the medium of mathematics. Four teams each consisting of three participants from Grade 9 and Grade 11 participated in this competition. 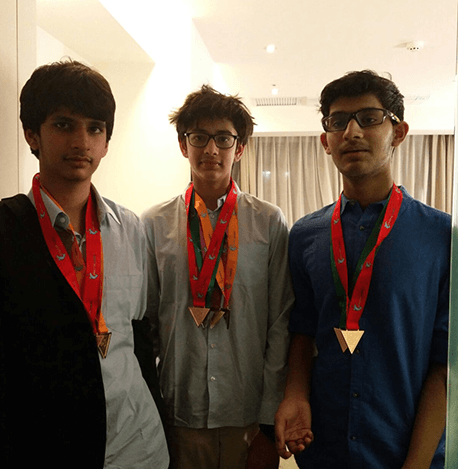 The three students from Grade 9, Aditya Jain won 1 gold and 1 bronze medal, Aryan Dangi won 1 gold, 2 silver, 1 bronze and Ojasvi Tiwari won 2 bronze medals. This competition is the qualifying round for the World Mathematics Championships finals to be hosted by University of Melbourne, Australia, in June 2018, where all of the better performing students are invited to come together and engage in the ultimate 6-day long showdown! These three boys received the Golden Ticket to participate in this prestigious event to compete against the best buddying mathematicians across the globe. The competition was very tough, with a healthy mix of seriousness and laughter, geekiness and sports! During the journey in the world of mathematics for two days they had different challenges to face. There was time when they had to work alone and times to work with peers, both familiar and new. There were times when they had to listen and times when they had to communicate. The participants also had to explore a range of concepts through many different frameworks. They had the opportunity to challenge themselves in 9 rounds with equal enthusiasm and an open mind. 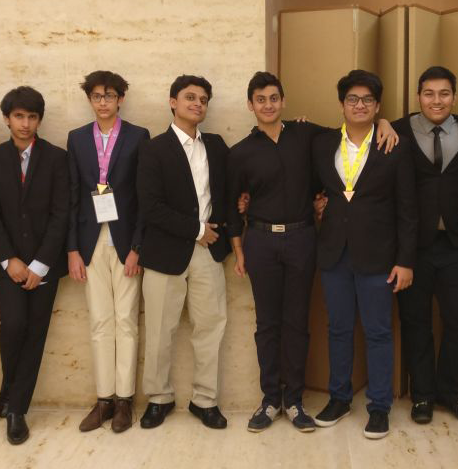 The students had a wonderful chance to build new friendships with like-minded individuals and interact with people from different backgrounds.